In some of the better quality areas, almost every plant you see at Somme, other than the trees, was restored there by hand, by a volunteer just like you. Let that sink in… In actuality, each seed was held on average by 3.5 humans ­– the seed collector, the seed mixer, the seed planter (and that extra person who just couldn’t get enough and had to sink their hands into a delightful bag of seeds!). Now it’s your turn. 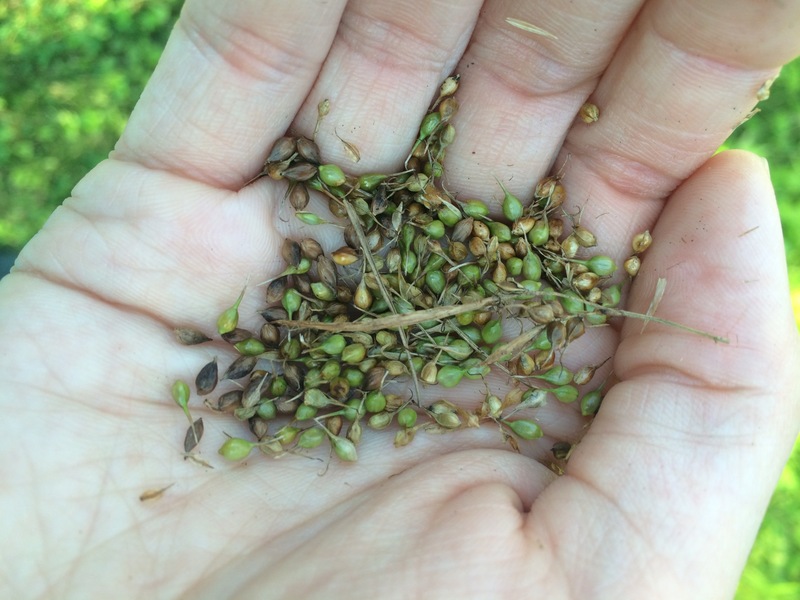 Some have called it “meditative” others “satisfying to the tactile sensors in your brain.” Seed collecting and seed processing is the summer and fall treat that turns “animal-people” into plant lovers and lumberjacks into cotyledon coddlers. You don’t need to know anything about plants to get started. In fact, this is a great way to learn them, or just bliss out on the lovely calming experience of plucking seeds from rare plants, all while you daydream about the unique habitats these seeds will grow into. Wear weather-appropriate clothing and sturdy shoes you can get dirty. 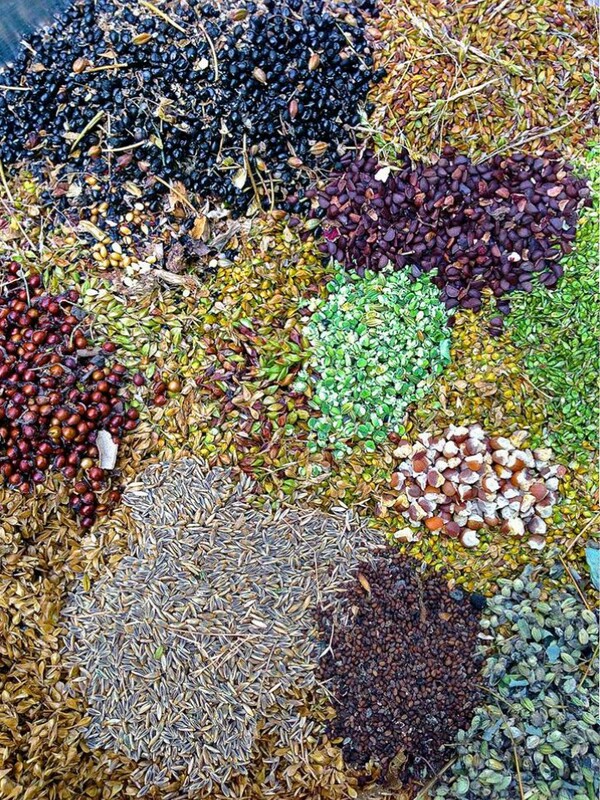 At seed collecting days there may be a considerable amount of walking to be done, but it’s usually at a slow pace. When you visit the Sommes, you will find lots of beautiful, diverse plants and you may think it’s always been that way. But 100 years ago, Somme was farms – divided up among local farmers. Parts were actually cornfields, but most was pasture for cows, horses, and other livestock. During that time, many natural species retreated to neglected corners or were lost entirely. Volunteers collected rare seed from remnant natural areas nearby. Slowly but surely those precious seeds grow into plants that then produce and spread their own seed. Because of wonderful people, many species of rare, endangered, and essential plants and animals increasingly make their home in the Somme preserves. We still have tons of land to restore so during summer and fall, as seed ripens, we go out and gather it. In fall, we remove the seeds from their husks – we call this “prepping,” and then we broadcast the seeds. If you like nature, you will love seeds! Be prepared to fill your brain and awaken your curiosity! Sign up here to volunteer and receive updates about the Sommes. Learn about brush cutting here. Learn about wildlife and plant monitoring, citizen science, and special projects here.